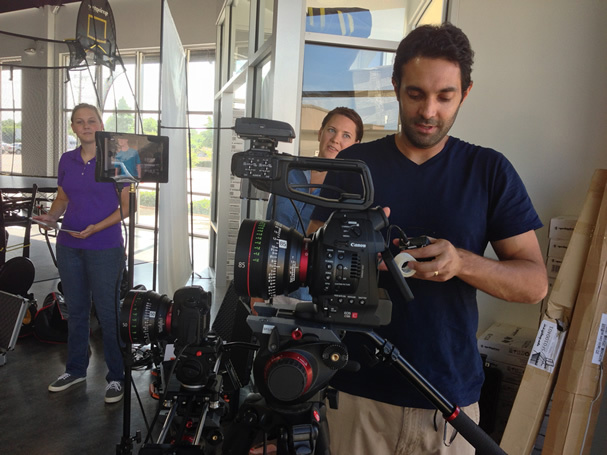 Is your Dallas video production company not delivering top notch service? I’ve been surprised lately to find out that our new clients left their old video production company because of a lack of service, or more often, just bad service. After all, the corporate video production industry is a service industry. Our two greatest strengths are our ability to value add (bring to the table a lot of extras the clients weren’t expecting that add to the production value and efficiency of telling the story), and, as one client put it, we’re just nice guys. I believe life’s too short to engage in massive egos and work with people that are incredibly unhappy. So as we pull our team together, we look for those who approach difficult tasks with a positive attitude. Over a dinner meeting one time with a new client, our point of contact brainstormed an idea for the upcoming video. I mentioned a couple ways we could do it and even improve on it. The client turned and said something to the agency rep and I asked what’s up. The agency rep then described how in the past, the production company would shoot all ideas not their own down and find excuses for how it just wouldn’t work. The client wasn’t used to a cooperative, collaborative position from their vendor. I really don’t understand why a video or film production company would ever take that position. For our clients and potential clients, it’s your story. What can I do to make your story clearer, have more impact and be more effective? We’re in a service industry and what we do is a blast. We have fun along the way and find it even more fun when a client tells us about how successful the corporate video was. We helped produce a series of videos for a gas and oil client. Over the course of the production, we became friends. In the end, we had lunch the other day, and all he could talk about was how far the videos exceeding their hopes and goals. The president of the company gave him a special award for pulling off the program that contained the videos. That brings the most satisfaction to us. Service is business by relationship. Cliched. But true.